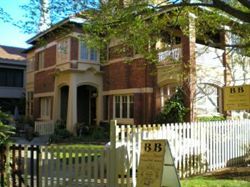 Bed and Breakfast located in Central Launceston, Tasmania. Hotel located in Central Launceston, Tasmania. Room Types - Twin Room Sleeps 1 Person. Deluxe Room Sleeps 1 to 2 People. Double Room Sleeps 1 to 2 People. 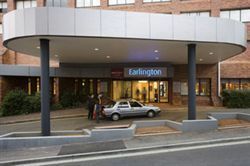 4.5 star rated Hotel located in Central Launceston, Tasmania. Boasting all the creature comforts and facilities of a modern hotel and situated in the heart of Launceston. An ideal location from which to explore the beautiful town of Launceston. 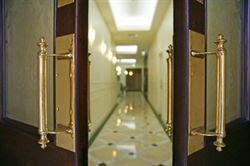 Facilities include golf nearby, dry cleaning service, disabled rooms available, non smoking hotel, private outdoor parking, porter service, 24 hour security staff, business and meeting facilities, room service, 1 licensed restaurant, bar. 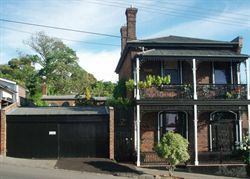 The Atrium Apartment B&B, boutique accommodation in Launceston, is centrally located in Elizabeth Street on the edge of the CBD. Everything is literally a few minutes away. Ideal for honeymooners, solo travellers, travelling executive or visitors on a short stay, the Atrium is a quiet oasis - your private retreat. We offer 'the independence of a serviced apartment with the discrete and personal attention of a B&B'. Accommodation, art and design fusion developed by Rebecca and Jack Birrell, artist, graphic designer and architect team, Hatherley Birrell Collection is an outstanding collection of art suites and apartments, featuring contemporary and original artwork, architectural and design elements, this luxury accommodation offers a highly individual and exceptionally stylish experience. Situated in the heart of Launceston. 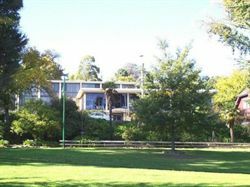 4.5 star rated Apartments located in Central Launceston, Tasmania.